Found this on Facebook tonight and wanted to share. For two nights, The Right Brain Project's summer production of "The Timey Wimey Fantastic Brilliant Extravaganza (Geronimo!)" needed to regenerate its Doctor as Tom McGrath was away for a friend's wedding. 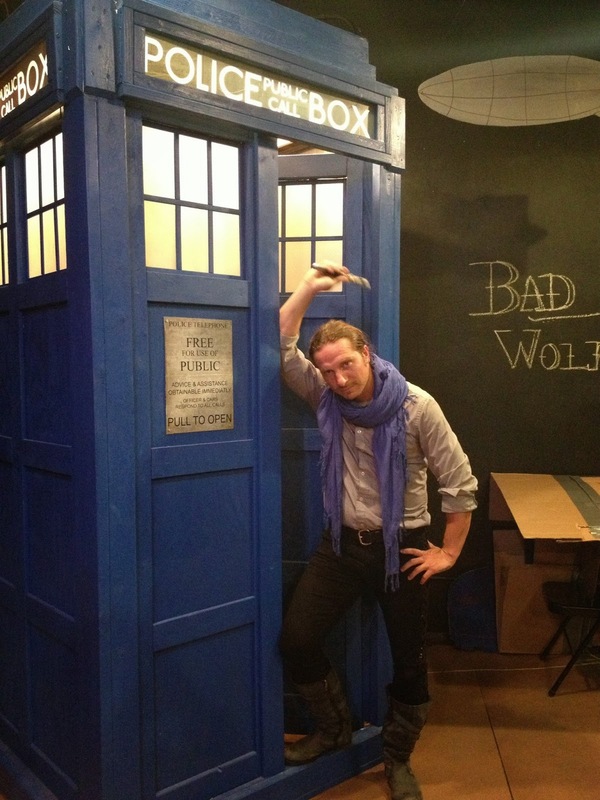 Orion Couling, who had worked with the RBP in the past (and is, in fact, a professional pirate), filled in and gave not only an extraordinary performance, but also his unique take on the 900+ year-old Time Lord. He also helped with choreographing all of the action and fight sequences for the play. Incidentally, Orion is currently directing a production of "MacSith", A Shakespearian take on the Star Wars saga to be performed this holiday season at The Right Brain Project. I will be sure to post the performance dates once they are available, and I will certainly be checking out this production.